Pininfarina have been working on something rather special. Until today, their hypercar project has been known only as PF0, its project name. It has today been confirmed that Pininfarina will name the world-beating hypercar Pininfarina Battista. The name pays tribute to the company’s founder Battista ‘Pinin’ Farina. 90 years ago, Pininfarina was founded by Battista and continues to be run by his grandson, Paolo. The company has received significant financial assistance in recent years thanks to investment by Anand Mahindra, owner of the Indian Mahindra group, who bought more than 70% of parent company Pininfarina SpA. The Battista will be launched as Italy’s most powerful and fastest car. 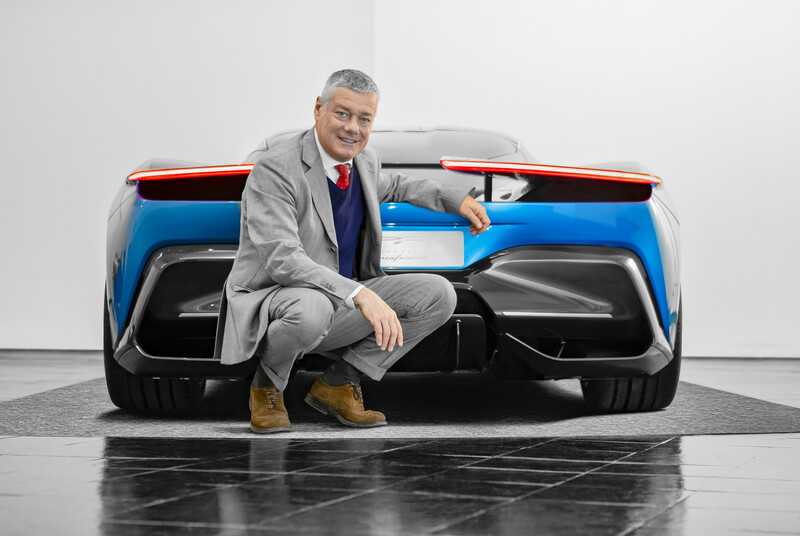 Pininfarina are working on an electric drivetrain which will underpin a dramatic hypercar shape. The Italian design house has already announced that the Battista will get a 1,900 hp powertrain, sub-2.0 second 100 km/h sprint time and a 450 km range. It is thought that the powertrain will not be Pininfarina’s own but will come from Croatian specialists Rimac. Rumoured specifications include a battery pack which will be able to recharge up to 80% in just 40 minutes. The batteries will sit within a bespoke carbon fibre monocoque. Pininfarina will fit them between the front seats and behind the rear bulkhead. The car will make use of brand-name components with Pininfarina focusing on the fit and finish of the interior and exterior. The Pininfarina Battista will be the first model to emerge from Automobili Pininfarina’s portfolio of luxury electric vehicles. The Italian manufacturer will take the covers off during the Geneva Motor Show 2019. The Battista will be followed into the market by three Pininfarina SUV’s. The Battista will be offered as part of a limited production run with 150 cars, 50 allocated to Europe, 50 to the US and a further 50 for the middle and far east. Development will be finished by autumn 2020 and customers will pay between $2 million and $2.5 million for the privilege of owning one!